NEW! - Cont.= 8,5 cm. 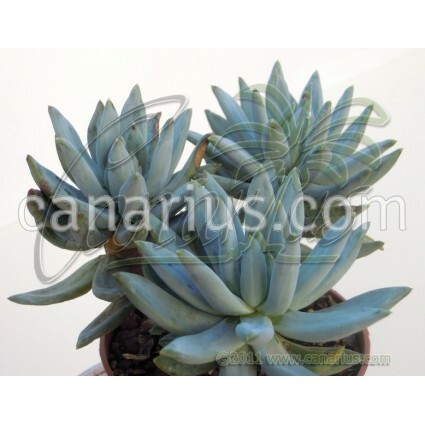 Different from most echeverias because of the blue, thick cylindrical leaves. 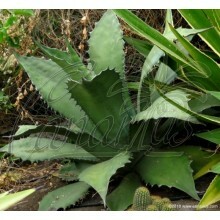 It is native to Hidalgo, in Mexico and will take light frost if kept dry in winter. 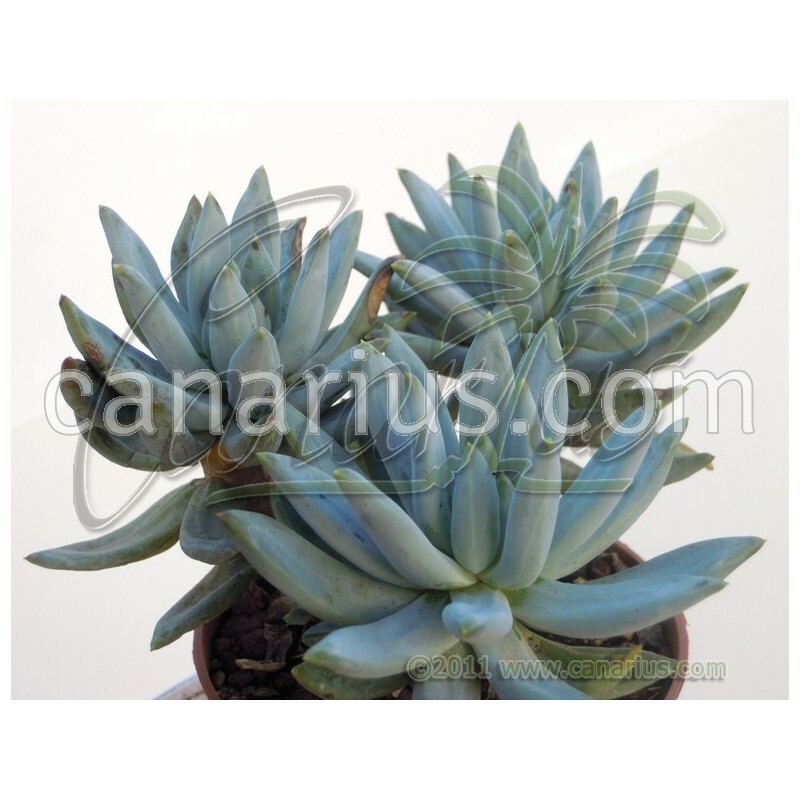 Different from most echeverias because of the blue-grey, thick cylindrical leaves. Rosettes reach 10-20 cm in diameter. 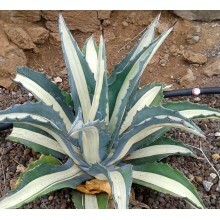 Echeveria tolimanensis is native to Hidalgo, in Mexico. It was described by Eizi Matuda in 1958. 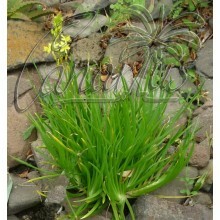 It is easy to grow and moderately fast. It can receive water at any time of the year but if you are located in a cold country, it is better to keep it on the dry side in winter, so it can rest while the light quality is bad. 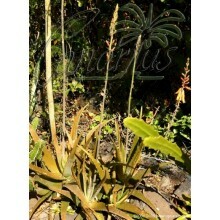 Furthermore, it can take light frost if kept dry in winter.